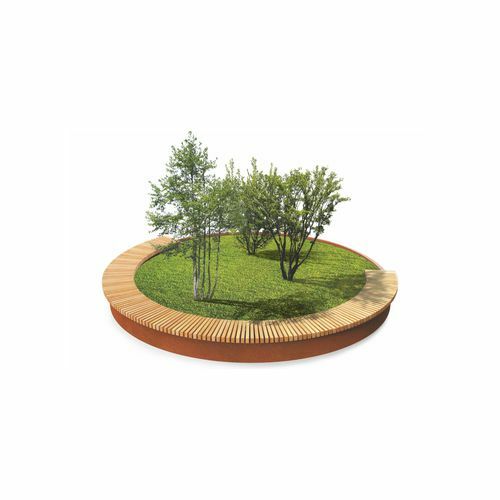 The GRANDIFIORIERE (Big Flower Boxes) collection allows to create flower boxes and borders with three different heights and with square, rectangular or circular shape. Corten or painter steel structure, with the possibility of integrating an exotic or larch wood seat. Thanks to its modular elements, it allows to create a wide range of combinations.